Flared, fitted dresses have dropped waistline, attached bodysuit with or without snap crotch closing, shoulder straps and shaped hemline. 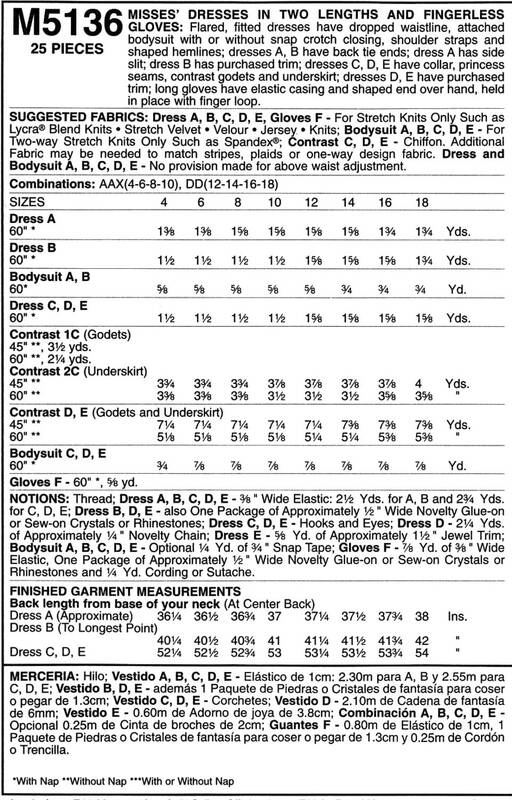 Dresses A, B have back tie ends. Dress A has side slit. Dress B has purchased trim. 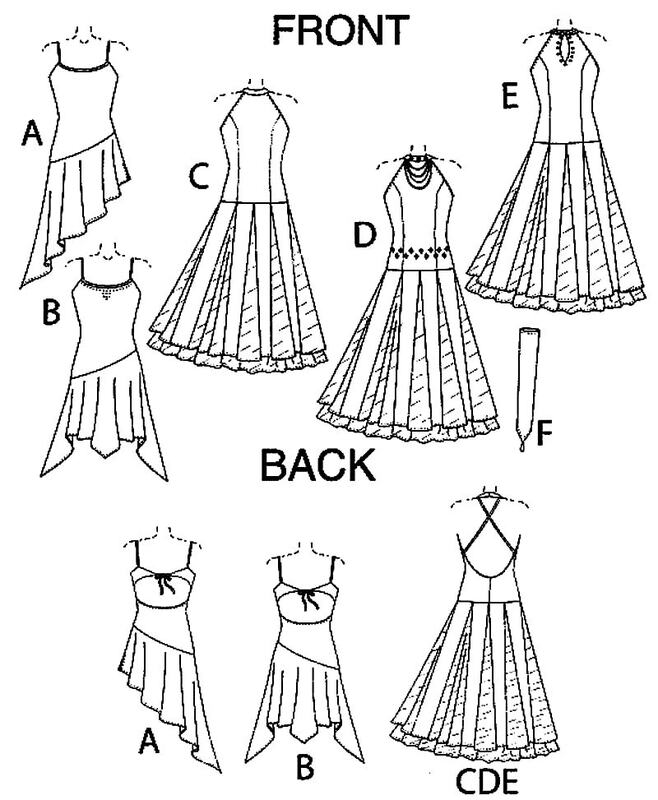 Dresses C, D, E have collar, princess seams, contrast godets and underskirt. Dresses D, E have purchased trim. Long gloves have elastic casing and shaped end over hand, held in place with finger loop.